Testimonials from MSCE 2013. We ran an English camp at Mackay Medical College (MMC) for one week and volunteered in and around Puli — at the Puli Christian Hospital and at several aboriginal villages in the mountains — for one week. Here’s how it impacted us! Who thinks that they can make a difference in someone’s life in just three days? Certainly not I. As has been noted before, the Medical Students’ Cultural Exchange camp that we organize runs a mere five days, which never seems like enough time to break the ice, let alone form longstanding relationships with the students at MMC. For me this year, unrelated obligations in the US cut my time even shorter, and I had to say goodbye on Wednesday evening. Did I feel like I had done anything for the benefit of any of the students on my team? Not at all. Not until they came to wish me farewell shortly before my departure, and gave me small cards with personalized notes. The one that I’ll remember most was from a camper who happened to be one of just a few incoming freshmen. (Most of the campers are rising second- or third-years.) He wrote, “As a freshman here, I thought that I would be lonely and nervous in the camp. However, Andrew you did give me joy and confidence at the beginning of this camp. This was very impressive and important for me. Really, thank you!” First of all: it wasn’t me, it was God. If I had chosen which students in my team I would want to connect with and/or minister to the most, I likely would not have chosen the shy freshman. But somehow God used me to reach out to this student — without me even realizing it — and I’m now confident that his new confidence will bring him closer to the body of Christ at MMC and, perhaps, to God. Going into this camp, I felt unsure if my presence would make an impact upon the medical students. I was afraid my passive and timid personality would make it difficult for the students to approach me. Things seemed to gradually change though the afternoon I arrived at Mackay Medical College. It was the day before the camp started. We had a casual dinner, a sort of meet-and-greet, where students and TA’s got to introduce themselves with each other. I sat in the midst of the students and introduced myself. However, I was soon unaware of what to say to get a conversation started. Even though we all practically looked alike, somehow there was this awkward silence that created a gap between us, as if we couldn’t find anything relevant to talk about. Then a student that sat beside me began asking me questions about college life in the US. This was one moment in the camp that I was grateful of, since it sparked my confidence in truly relating and interacting with these students. I soon began to describe how life was in the states: what my dorm was like, what I did during my free time, professors and classes, etc. I didn’t mind speaking slowly as well, or even repeating phrases multiple times, as I enjoyed both sharing my own experiences and seeing the students better their English. Jeffrey and Rebecca’s group: Buddy Buddy! As the camp started, I could still sense this ambition and curiosity in my students as well. From lunchtime conversations to drama preparations, we got to know more about each other than ever before. These were moments that I would always cherish in my heart- moments that have gotten me closer to my students. Jacky, a young man who often popped in a question or two about Christianity, was someone I enjoyed talking to even though I sometime struggled to answer his questions. Alice, a sweet and joyous girl, had a smile that always brought our group closer together. Rubio, a shy and passive man like me, slowly opened himself and showed both his humor and interest in the group. Peggy, an intelligent and curious girl, often wanted to know more about me, allowing me to further share who I was. Maggie, a heartwarming girl, often took interest in the topics we were discussing. And finally, Eegi, a girl from Mongolia, inspired me through her ambitions and pursuits she sought after in life. I praise God for bringing them to this camp, especially igniting their hearts to seek the Lord. I thank Him for opening my heart to the student’s, and the student’s to mine. In the end, a short week at MSCE left me with countless memories and unique relationships that I won’t be forgetting anytime soon. I flew to Taiwan feeling very apprehensive and inadequate for the work I knew was ahead. My first year of medical school had been a real struggle spiritually and I didn’t know if I was right enough with God to be qualified to do His work of evangelism over the next 5 days. Nevertheless, I am so thankful that God is completely sovereign in His work of bringing people to Himself and that I, despite my weakness, get to be a part of this amazing work of winning souls to Christ. Every morning at MSCE, we would all gather in a classroom to have breakfast together at 8am before starting the classes and many activities that would carry us to 9pm most nights. Over breakfast, 2-3 of us TAs would share our testimonies with the students to help them get to know us better and to share our faith with them. I was deeply encouraged and convicted by many of my teammates’ testimonies and God worked mightily through these wonderful testimonies to touch the hearts of our students as well. Several of my students in Team 2 commented on how our Christian faith was so rich and alive in our lives in contrast to how Buddhism and ancestral worship felt very empty to them and as we got to know our students better, we had many opportunities to share more of our faith and the Gospel with our students throughout the week! One late night, my roommate Kurt (in addition to spending all day with the students, we also room with them too!) was particularly moved by how one of the TAs shared about trusting God through a very difficult trial. He asked me “Why do bad things happen to good people?” and “How can you trust your God so much when bad things happen?” Though I was ready to pass out from a long day and felt woefully inadequate to answer such deep questions, God graciously drew me to the appropriate passages of Scripture to share with Kurt as we talked about God’s sovereignty and His goodness. In God’s providence, Kurt’s questions brought our conversation to the Gospel: Why can’t I go to heaven by being a good person? If no one is “good” enough to earn their way to heaven, why bother being good at all? How do I know that Christ’s death actually paid for my sins? Though Kurt did not accept Christ as his Lord and Savior at the end of that conversation, I am so thankful that I was able to walk him through the Gospel and by God’s grace answer his questions. To my knowledge, none of our students accepted Christ. Still, I believe that every student left the camp with a clearer understanding of the Gospel and the power of God in our lives. I hope that God will use our testimonies, Bible studies, continued conversations, and time with them as He continues to bring Taiwanese students to saving faith in Christ Jesus our Lord. To Him be all praise and glory forever! I’m not Taiwanese. In fact, I was born and raised in Mexico and cannot speak a word in Mandarin. Yet my love for Taiwan and its people is the same love Paul had for the unbelieving Gentiles and Israelites. He wanted to be an anathema from Christ for them so that they can be beneficiaries of God’s grace (Roman 9:1-3). That is love, and that is the love I always try to emulate when I minister to unbelievers. 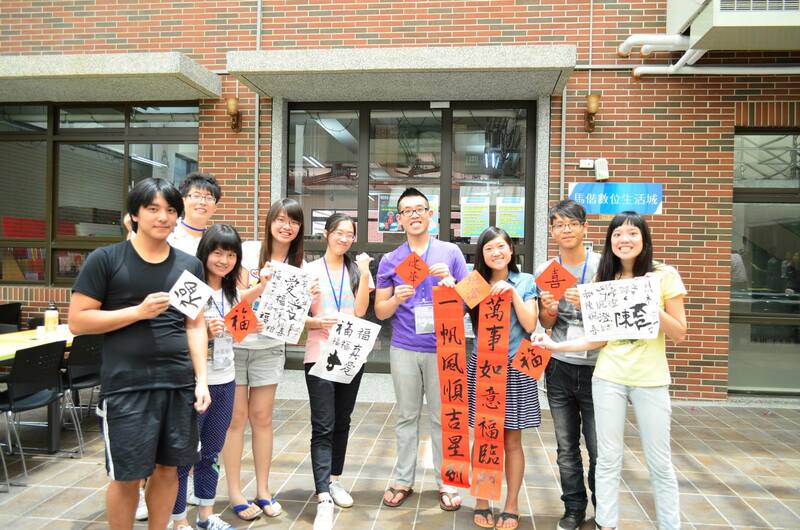 Enrique and Vivian’s group with their Chinese calligraphy! My second time participating in MSCE was no different. I wanted to use every ounce of my energy to live out the gospel and share the gospel message with my students. I was fortunate to be a TA for an awesome group appropriately named “The Best (Option)” haha. They were receptive to the gospel and heard it multiple times. Even some of them came to church with us at the end of camp! God also gave me the unique opportunity to minister to my roommate Jacky. There was a language barrier between us and we only saw each other for one hour at most each day in our room. On the night after Praise Night, I used the opportunity to ask him a series of question related to the songs we sang. He mentioned his favorite song was “All in All” and how much that song meant to him. This opened a few doors for me to share the gospel with the help of David Lee as our translator. At the end of the night, he did not accept Christ as his Lord and Savior as he felt he was not ready. The following night though Jacky pulled me aside and thanked me for the discussion that took place the night prior. In his own words, he said “I realize I need God.” God is obviously working in the hearts of our students. To my understanding, none of our students accepted Christ into their hearts that week, but they saw the beauty of knowing Him through hearing our testimonies and seeing our love for them. God has done wonderful things in this camp and I praise Him for everything that took place that week. To God be the glory! David’s first time leading worship! Taiwan has a special place in my heart. It’s not the world’s most touristic country nor boasts the greatest weather in July, but it houses some of the dearest people to my heart. (Granted, the food is just as awesome). 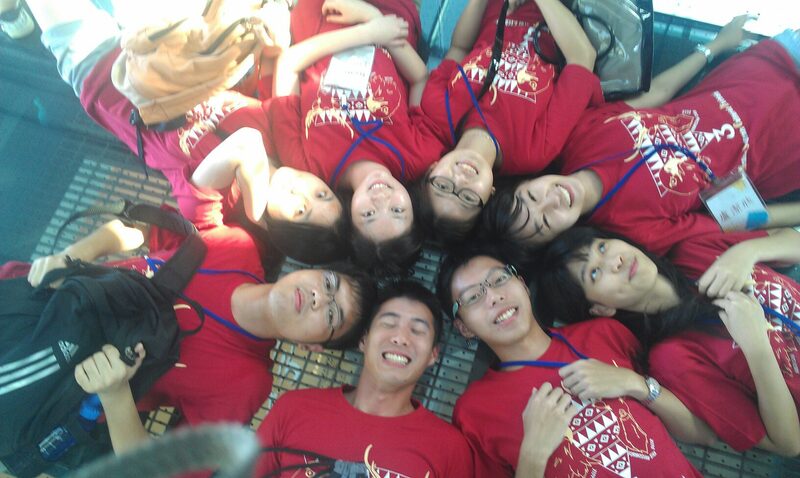 This year was my second year at MSCE, and like any other year, I miss it terribly upon returning home. If you were to ask any TA in this program why they love MSCE so much, mostly everyone would say it is because of the students. No doubt, the students’ openness, willingness to hear, ask, and share their thoughts, are all key traits that contribute to this program’s success. Throughout MSCE, my students would at first avoid questions relating to God, but as we got to know each other better, God began to open doors for conversations. I was so encouraged by one of my students, Albe, who expressed interest in further hearing more about my testimony after sharing it in morning manna. Though it didn’t lead her to come to faith, it definitely opened doors for God to plant a seed in her heart. To my knowledge, no one came to accept Jesus as their personal savior, but I fully trust that God used this program as a tool to soften hearts and plant seeds. At the end of the program, my students wrote letters expressing how thankful and touched they were by our presence. So what can we actually learn from God in one short week? That we should never underestimate His power. His love is so deep and his grace so vast that our fleshly nature will never comprehend. I’m certain that the Lord will continue to work in the lives of our students and I’m thankful that God used MSCE as a venue to supply His hands and feet. We praise him for all the goodness that occurred in that short week and we are humbled to know that God used us for His good. Being a TA last year as well as this year, I inadvertently made numerous comparisons between the two camps. Despite all the analysis regarding these two camp, I can ultimately only thank God for allowing me to join MSCE 2013 and experience the joy of MSCE again. 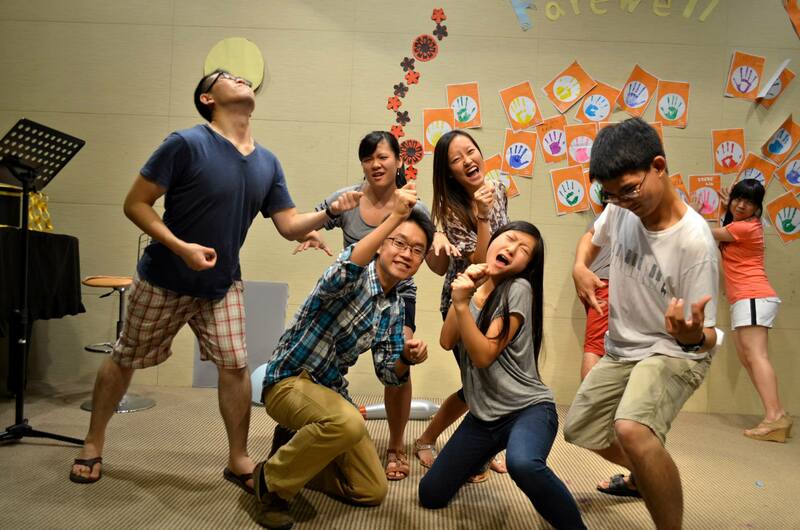 Throughout this camp, students and TAs bonded through activities like a treasure hunt, praise night, and more. I was also able to see God’s spirit with us through sharing like the Bible corner, Morning Manna, and praise night. What I was especially grateful for was the curiosity of the students and their open-mindedness about Christianity. Our group – Team YEAH! – shared about many questions regarding what we believe, why we believe, and much more. It was also extremely enjoyable that after the camp, some students and TA’s managed to meet up the weekend after the camp to worship together at a church and also to hang out in Taipei afterwards. It was much more of a learning experience during the second week in Puli, as we visited various elderly care facilities and mountain clinics in the area and got to know more about the mission that local hospital was doing. In addition, we also visited the Bunun tribe near the Puli area. We planned a VBS-style camp for the Bunun children and teenagers to share about the gospel and health through skits, stories and worship. In addition to sharing, we also learned a lot about the Bunun tribe. Things like their culture, how they came to Christ because of earlier missionaries and their joy for sonorous singing worship were all unique experiences that also influenced some of my thoughts on Christianity. All these experiences with keeping in touch with old friends and making new ones and sharing about the gospel in an intellectual environment and seeing God work there definitely keeps me looking forward to MSCE 2014 and beyond. Since this was my first time participating in a mission trip, I was unsure if I could manage to be a well-qualified TA. However, I was so thankful to have the opportunity to participate in MSCE this summer and meet other students and TAs who were thoughtful and encouraging. At the end of the camp, I realized that regardless of our imperfections, God’s work and grace will ultimately overcome these challenges and worries. Irene and David’s group: Rainbow Dragons! Throughout the first week of camp at Mackay Medical College, I got to meet new people and got to know them better through activities and story sharing. Although all of us came from different places with different backgrounds, it was a blessing from God that within a short amount of time all of us were able to bond so quickly. I remember one night I met up with my team to discuss about the farewell party skit, but in the middle of the conversation we started to talk about each other’s personal lives and thoughts about Christianity and the camp. Several of my teammates were interested in the words of Bible and began sharing the reasons they believe or disbelieve in God. Even though all of us were tired, our conversation did not end until 3 AM. Later during lunch and dinner time I not only got to share my perspective on how people could find love and peace through God’s grace but I also got to learn a lot from the Taiwanese students’ questions. I remember Jessie in our group asked me “If God is love, why does sin exist in this world?” The topic led us to discuss more about how God’s sovereignty works together with free will, and at the end, one verse of the Bible led me to the conclusion that God does not take away our free will by choosing us. Instead he changes our heart to choose him: “We love because he first loved us” (I John 4:19). It was difficult for her and others to grasp the meaning at first, but I believe God has already been working on them and letting the Holy Spirit guide them. Our friendships continue to build after the camp, and many of them continued to contact me and showed interest in coming to church on Sunday. The second week of the camp was the most memorable experience of my life. We visited several hospitals and a Bunun tribe in Nantou. We met several doctors serving in these local hospitals, and their attitude and heart for service were really inspiring to me as a pre-medicine student. Later when we visited the aboriginal tribe, we had the opportunity to split up and have family dinner with the villagers. I was amazed how Christian-oriented the villagers are and their strong faith in God. Although their resources in the village are not as abundant as those in the cities, their feelings of satisfaction with life and faith that God knows and will meet their needs made me rethink my future career goals and life visions as well. During the second week I also got to connect with other TAs more strongly. Reflecting back on the conversations we had with one another, I was amazed how this camp has affected me emotionally, spiritually, and educationally. It was my privilege to be part of the MSCE family this year. I have to say thank you so much for the entire faculty who sacrificed their time and worked effortlessly to plan this camp for Christian young adults to step out and share the Gospels and testimonials. I pray that God would continue move in hearts of these Taiwanese students and give the TAs and faculty wisdom and strength. Lastly, I must say, Team 2 Rainbow Dragons, you guys rock!! 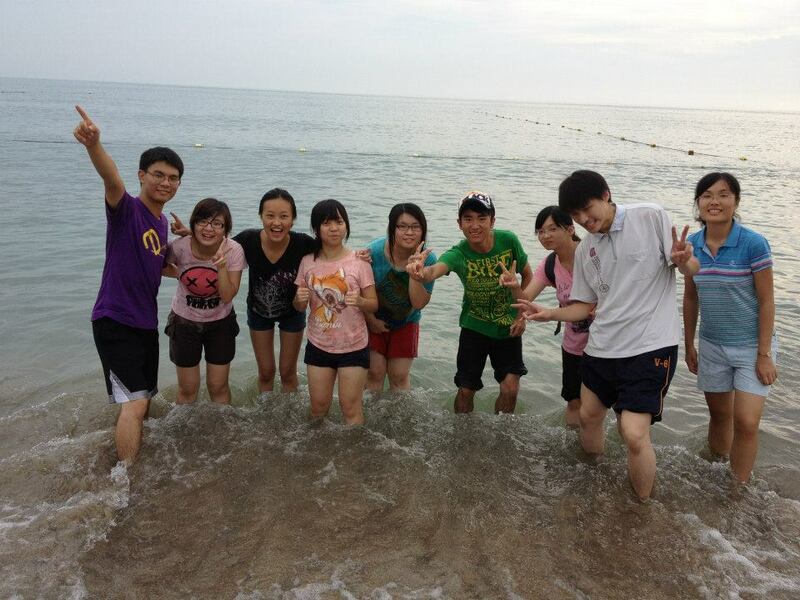 Peiran and David’s group, “Number One”, at the beach! Looking back at it now, I can say with certainty that MSCE 2013 was definitely a part of God’s plan for my life. I attend Biola University, a private Christian university, as an undergraduate, and the theme for this past academic school year was “From This Place”, a missions/evangelism theme. I attended Urbana 2012 (a big Christian missions conference) with 11 others from my home church during Winter Break. And this past year, my stubborn, atheistic, proud communist, maternal grandfather came to Christ shortly before his passing. God had been constantly preparing me throughout the past year, and MSCE 2013 has definitely been a crucial part of that preparation (although at this point I’m not quite sure what I’m preparing for yet… maybe MSCE 2014?). Through this trip I was able to see how powerful a small team of Christians can be, especially when God blesses them with His presence. I was truly encouraged by the unity of the American TAs and faculty in striving to further God’s Kingdom and the deep and meaningful talks we had with the Taiwanese students and each other. Our group, Number One, was able to bond really well, and it felt like a family unit. And even with the Bunun people during the second week, we only had two days with them but were able to make meaningful friendships. I believe this trip has been encouraging for all the participants, both the American side and the Taiwanese side. God used us to explain more in depth the hope that the Good News offers to the MMC students; God used us to encourage the Bunun tribe to see that they are not alone in their Christian walk; and God used both the MMC students and the Bunun tribe to teach us and remind us how broken lives can be changed through God’s touch. I am so glad that God brought me to the MSCE family and am so thankful for all the friendships that have blossomed out of this trip. May God continue to allow us the honor of participating in His will and witnessing His great power and glory!